Like you, I have personally experienced the transformative power of travel. This is one of the reasons I settled in Jordan; a small country with amazing sites, limitless potential for adventure, and some of the friendliest people on the planet. Travel magazines are now highlighting why a Jordan tour is a must for many of these reasons. For the average North American, Jordan remains a mystery. Many have never considered taking a Jordan tour and are unaware of what this remarkable country has to offer. Research has shown most travelers (73%) who are not interested in touring Jordan simply don’t know enough about Jordan to want to go there. Yet after being shown the sites, experiences available and learning about the people of Jordan, over 70% of those people change their minds and become interested in traveling to Jordan. Even if you are just in the beginning stages of planning your Jordan tour, this guide will show you why Jordan is a remarkable travel destination. Is it safe to tour Jordan? 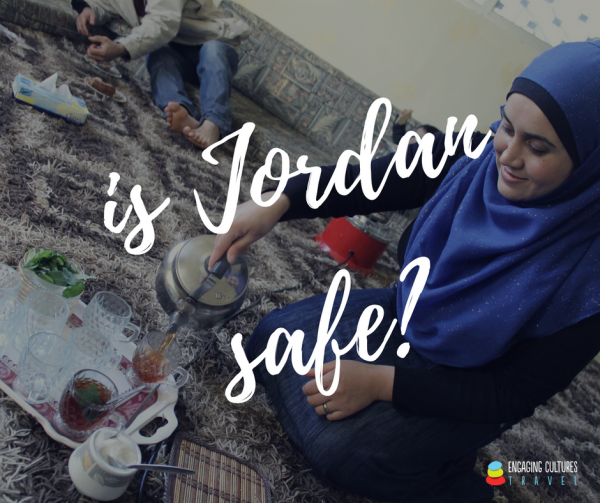 Jordan is located in the Middle East, a region that has Westerners skeptical in regards to safety. Many Americans (myself included before moving here) lack geographical knowledge about the Middle East. This lack of awareness affects the perceived safety of Jordan. For instance, a conflict in a nearby country is perceived as happening in the entire region. come across, throughout the country, has continually compelled me to share my experience with my fellow travellers. (The video above is my family and I, proof that we actually live in Jordan). As we were first beginning to offer Jordan tours, my colleague and I asked each other, “What could we tangibly do to show that Jordan is safe?” We decided to take 2 things that many Americans perceive as unsafe, hitchhiking and Arab Muslims, and combine them. So, we hitchhiked across the country over 2 days, from the northern border to the Red Sea, solely on the generosity and hospitality of locals. You can read more about our adventure to answer the question “Is Jordan Safe” here. Our experience only deepened our love for the people of Jordan, and further embedded within us our message to Westerners: Jordan is not a place to fear, but a transformative destination that should not be missed. What sites should I include on my Jordan tour itinerary? For many travelers, the first question is: What can I see in Jordan? For starters, the small country of Jordan is filled with world renowned sites. What is a UNESCO World Heritage site? A site of outstanding universal value as well as either represent a masterpiece of human creative genius, bear a unique or at least exceptional testimony to a cultural tradition or to a civilization, to contain superlative natural phenomena or areas of exceptional natural beauty and aesthetic importance, among other criteria. You can read more here. What is Jordan best known for? Petra piqued awareness in America with it’s feature in the climactic scene of Spielberg’s 1989 film, Indiana Jones and the Last Crusade. Indy’s encounter with the fictional booby traps and array of artificial grails in Petra’s “Treasury” is still the main reference when explaining what Petra is to an unfamiliar foreigner. The satirical Pan-Arabia Enquirer once joked that Petra is to be officially renamed, “That Place from Indiana Jones” (conceding that the longer “That Place From Indiana Jones And The Last Crusade, You Know, The One With The Old Dude And The Magic Cup,” wouldn’t sit well with local hoteliers and their signage). In 2007, Petra was named one of the New 7 Wonders of the World based on voting of more than 100 million people worldwide. It is now seated alongside other such wonders as The Great Wall of China and Mexico’s Chichen Itza. Being named one of the New 7 Wonders of the World was among the reasons tourist numbers to Petra jumped from 359,366 in 2006 to 802,866 in 2008. Petra is much more than just the Treasury from Indiana Jones. Most first time visitors are unprepared for its size. The Petra Archaeological Park spans 102 square miles (264 square kilometers). It covers an area approximately 4.5 times the size of Manhattan, New York (22.7 square miles, or 59.1 square kilometers) and over twice the size of San Francisco (49 square miles, 121 square kilometers). Petra contains over 800 facades carved into the sandstone mountains as well as ruins of many free standing buildings. I have toured Petra dozens of times and each time I discover something I’d never seen before. How long should I plan to tour Petra? 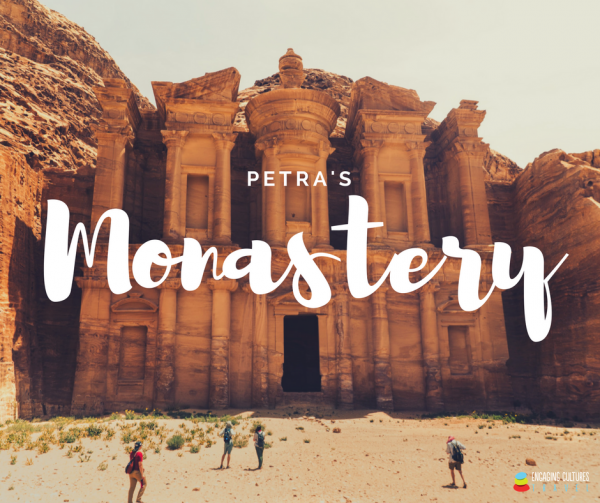 Touring Petra will take at least an entire day, and you need to make sure you give it the time it deserves. How much are Petra entry tickets? If you aren’t staying overnight in Jordan and only making a day trip from Israel, the price is 90 Jordanian Dinar ($126.80 USD) for 1 day. The Petra by Night ticket price is 17 Jordanian Dinar ($24 USD). Petra by Night is an evening walk through the candlelit Siq canyon to the Treasury. It is held every Monday, Wednesday, and Thursday evening. What else should I include in my Jordan tour besides Petra? There’s a reason why Jordan’s Wadi Rum desert is regularly featured in Hollywood films. It is truly epic. “Vast, echoing, and god-like.” That is how T.E. Lawrence, known around the world as “Lawrence of Arabia” (film of the same name also shot in Jordan), described the Wadi Rum desert. Though Lawrence’s reputation as a “hero” has been tainted, his observation of the desert still holds true. Wadi Rum is 279 square miles (720 square kilometers) of rose red desert and sandstone mountains. It is home to the highest point in Jordan, Jabal Um Adami, which reaches 6082 feet (1,854 meters) above sea level. From its location (29°18′30″N 35°25′45″E) you can see across into the border of Saudi Arabia. Most people opt not to hike to the top of the mountains. 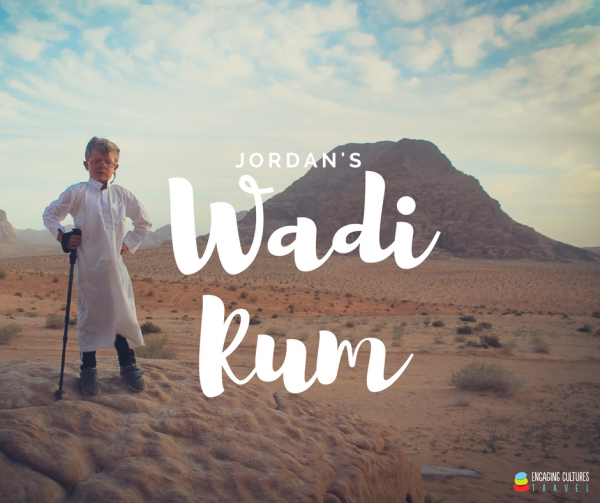 A jeep ride with a Bedouin and camping in the desert are more than enough reason to visit Wadi Rum. Nestled in the rich hills of Biblical Gilead, Jerash is the best preserved city of the Roman Decapolis. Jerash is one of the largest and most well-preserved sites of Roman architecture in the world outside Italy. A visit to these magnificent ruins is an instant add on every custom itinerary. If you’d like to stroll around Jerash before your real life visit, check out this street view on Google Earth. When people think of a Holy Land tour, they usually think of Israel/Palestine. Yet a Jordan tour will reveal a surprising amount of locations found in the Bible. 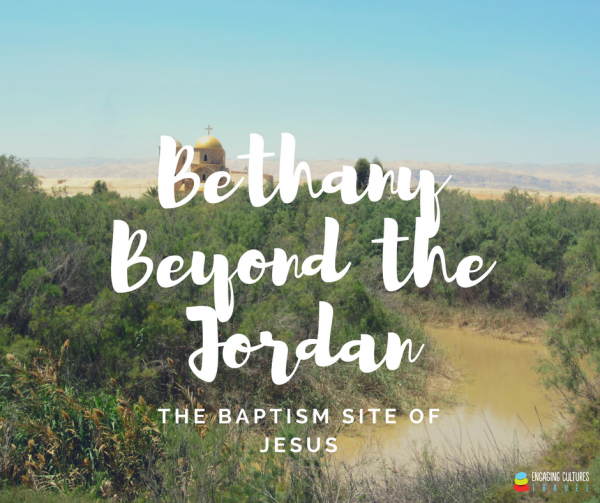 The most significant Biblical site for most is Bethany Beyond the Jordan, the place where Jesus was baptised by John the Baptist. In the Gospel of John, a group of Pharisees visit John at the Jordan River. They want to know if John claims to be the Messiah, or possibly Elijah, who was prophesied to come before the Messiah (and who, interestingly enough, had part of his ministry in this exact geographic location). John tells them, “I baptize in water; among you there stands one whom you do not know, The one coming after me, the thong of whose sandals I am not worthy to untie.” These things occurred in Bethany beyond the Jordan where John was baptizing. (John 1:26-28). A pilgrimage site for Christians, Bethany Beyond the Jordan was named a UNESCO World Heritage Site in 2015. The Baptism Site Commission has maintained its natural integrity by creating a simple gravel footpath that winds through the “jungle of the Jordan” (Jeremiah 49:19), passing ancient churches, and culminating in an opportunity to be baptised yourself in the Jordan River. What Biblical sites are found in Jordan? Galatians 1:17 (When Paul speaks of going into “Arabia” he is most likely referring to the Nabataean Kingdom.). Note that this list is not exhaustive. If you would like the exhaustive version, it can be found throughout the Bible. 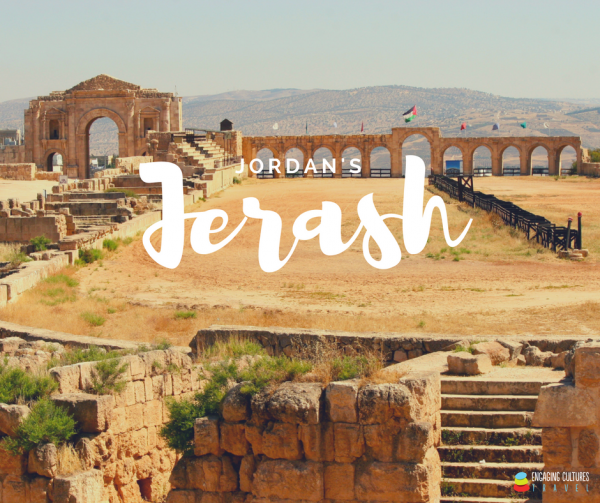 Being in these places gives you new eyes to see new meanings in the Biblical text as you discover it’s geography, adding to the many reasons why you should travel to Jordan. Why include the Dead Sea in your Jordan tour? The Dead Sea is not only geographically significant as the lowest place on earth, it’s Jordan coast is dotted with 5 star resort spas that offer a respite for the weary adventurer. The Kempinski (pictured) is the nicest hotel with the Jordan Valley Marriott coming in second. The Kempinski boasts the largest spa in the Middle East and serves sparkling wine for breakfast. Floating in the salt and mineral rich waters of the Dead Sea is a once in a lifetime experience, but it may not always be an option. As more water is taken from the Dead Sea’s freshwater sources, the Sea itself isn’t able to replenish. The level of the Dead Sea continues to drop over 3 feet every year. Plans to remedy this have been on the table for years, though nothing definite has been set in motion. How many castles are in Jordan? There are over a dozen. They range from formidable stout fortresses built by the crusaders, to palaces in the eastern desert displaying impressive Islamic architecture. 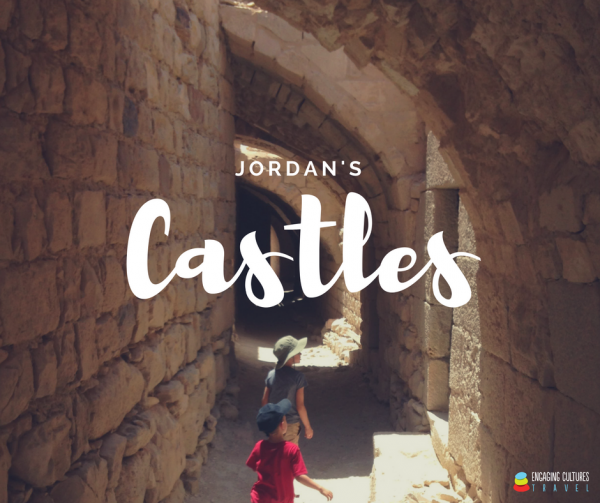 Traveling to Jordan with kids? These castles become an imaginative playground. I recently took my two elementary age sons to Shobak castle (pictured), built by the Crusader king Baldwin I around 1115, just 30 minutes from Petra. After running around the ramparts and shooting at an imaginary siege army through the arrow slits, my kids and I found a tunnel with stairs that led into darkness. I turned on my cell phone flashlight (headlamp would have been better), and we descended 375 slippery steps into the mountain, ending at an underground spring. This would have given those in the castle access to water during a siege. A quick laddered ascent put us outside near the road halfway down the hill. It was an adventure my boys still recall with relish. There are 10 nature reserves in the country of Jordan. Protected by the Royal Society for the Conservation of Nature, these reserves cover over 1200 square kilometers of Jordan’s diverse landscape. A traveler could spend over 7 days hiking through the reserves, rappelling down waterfalls, and camping under the stars without even adding ancient ruins onto their itinerary. What Nature Reserves are in Jordan? How big is the country of Jordan? Jordan is 89,342 square kilometers, or about 34,495 square miles. The United States is 110 times bigger than Jordan. If you’re like me, that’s hard to visualize. 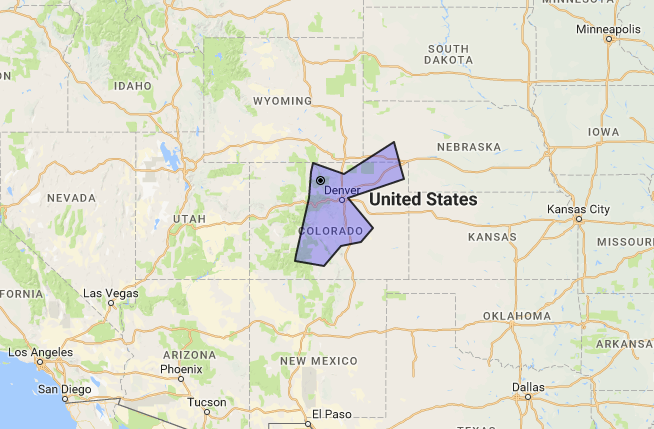 Here’s an image of the country of Jordan compared to Colorado. What does this mean for a Jordan tour? You can travel across the entire country of Jordan, touring historically rich sites and interacting with friendly, hospitable people in a relatively short amount of time. How long does it take to drive around Jordan? While you’re planning a Jordan tour, why not add on Israel/Palestine and Egypt too? Jordan is a hub for traveling throughout the Middle East. Most North American travelers interested in visiting Jordan also want to add on another Middle Eastern destination to their tour (64% of US travelers, and 87% of Canadian travelers). The new Queen Alia International Airport, which opened in 2013, was awarded by Airport Council International as the best airport in the Middle East in 2014. This ease of access to many destinations across the region make this another reason why you should travel to Jordan. 64% of US travelers visiting Jordan also want to add on another Middle Eastern destination to their tour. 87% of Canadians visiting Jordan would like to add on another destination in the region as well. Mansaf is the national dish of Jordan. It is made by slowly cooking lamb in a traditional salty yogurt known as “jameed”. The lamb is then placed over a bed of rice and the jameed is poured over the top. 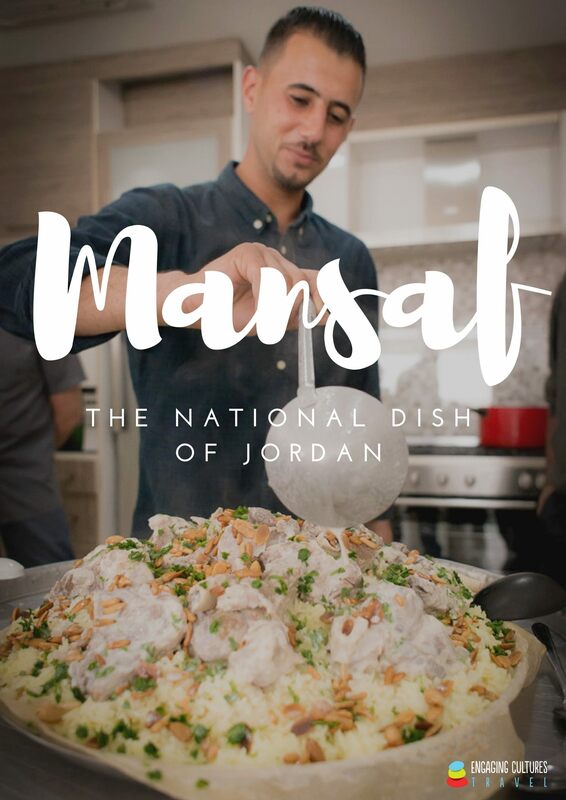 Mansaf is served at every wedding and every funeral in Jordan. It’s also a common dish for family gatherings, which happen every Friday. Mansaf is traditionally eaten from a large communal dish with the right hand. Jordanians will often ask a Western visitor, “Have you had mansaf?” If you answer in the affirmative, the follow up question is always, “Did you eat it with your hand?” On your trip, make sure you ask your Jordanian host how to properly eat mansaf. 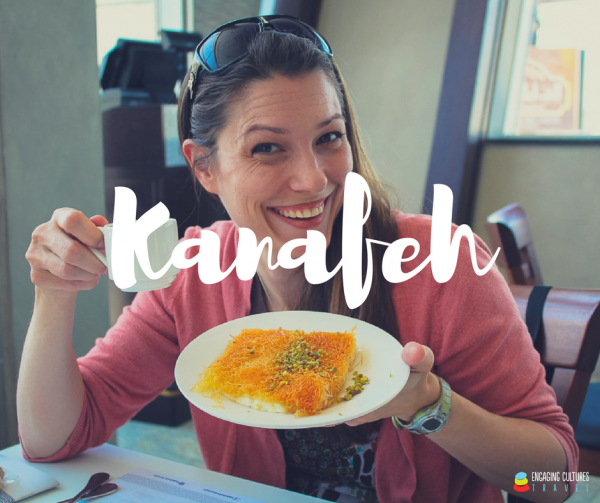 Kanafeh (or “knafeh”, or “kunafe”, all English attempts at: كُنافة) is traditionally a Palestinian dessert from the city of Nablus, but it is popular throughout the Middle East, especially in Jordan. First mentioned in the 10th century, the base of this unique treat is cheese soaked in sweet sugary syrup and topped with pistachios and your choice of either a semolina dough (called “na’ama” meaning “smooth” or “fine”) or crunchy, threadlike noodles (called “khishne” meaning “rough). I recommend the “khishne”, but please, try both. If you are eating kanafeh on your Jordan tour, go to Habibeh. Their most popular location for locals is a small shop located in downtown Amman just 5 minutes from the Roman theater. Follow your nose and turn down an alley with a bookshop kiosk at then end and you’ll find a Jordanians leaning up against the side of a building holding a paper plate, plastic spoon, and a generous helping of kanafeh. What type of experiences do adventure travelers look for that included in a Jordan tour? Adventure travel isn’t just extreme rock climbing and skydiving. That’s simply a sliver of what adventure travel entails, and only a few people put themselves in that category. If you are planning a tour that entails two of these details, consider yourself an adventure traveler. Jordan will be a pleasant surprise to you. 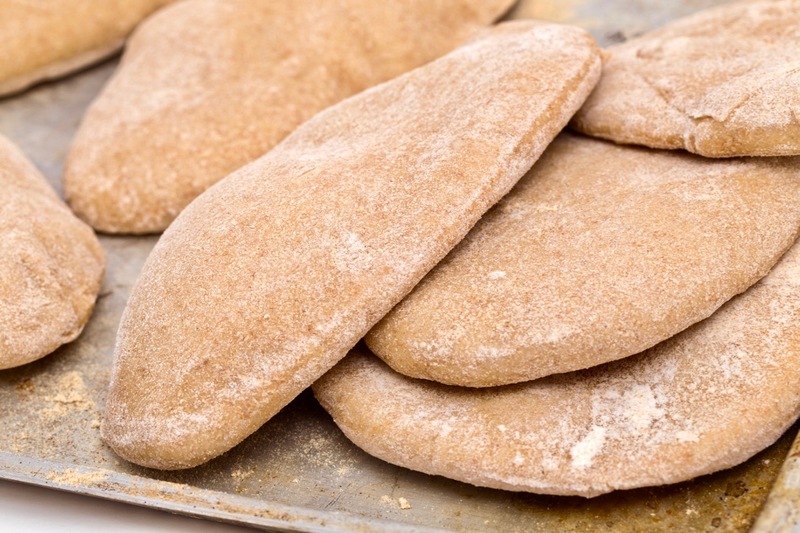 These trending activities are found in abundance in Jordan. Whether it’s hiking with Bedouin to a little known back entrance of Petra, experiencing the culture by staying with a family in a village, or getting completely off the grid at the world renowned Feynan Ecolodge, including these activities in your Jordan tour will provide more than enough to keep an adventurous couple smiling. There is so much to experience in Jordan, it’s helpful to be aware of what you want out of your tour at an early stage in your planning process. Is your main motivation in coming to Jordan to visit ancient ruins? Or do you have deeper impulses driving you? How does “discovery”, “worldview expansion”, and “connection” play a role in your travel motivations? This infographic shows the major motivations for adventure travel. Check to see which motivations you most closely associate with and let your trip planner know. Among the top motivations for adventure travelers are “personal transformation” and “expanded worldview.” They are looking for an increased awareness of themselves and their place in the world. I have continued to experience these throughout my time in Jordan, and it’s one of the main reasons I stay. How does taking a Jordan tour help? Adventure travelers are a good lot to be counted among. They are among the most socially conscious of travelers. The United Nations Environment Programme has found that in most all-inclusive mass tourism package tours, about 80% of the travelers’ expenditures go to international companies, such as airlines and hotels, and not to local businesses or communities. Of every $100 USD spent on a tour by a tourist coming from a “developed country,” only around $5 USD actually stays in the “developing” destination and supports their economy. Adventure travelers, on the other hand, are more concerned with where their money goes and make choices that support local economies. Contrasting sharply to the above statistics of only 5% of mass tour package expenses supporting the destination, the Adventure Travel and Trade Association estimates that 67% of the cost of an average adventure tour stays in the local region. That type of tour is a boost to Jordanians and their economy, which derives 19.4% of its GDP from travel and tourism (as of 2016). 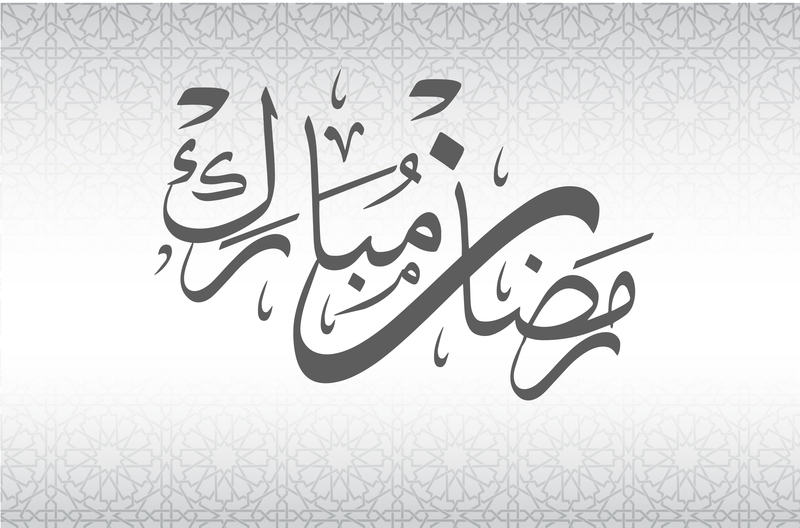 This sector will grow in its contribution to Jordan’s economy with an estimated 5.6% increase each year. Can I customize a Jordan tour? The days of the big bus tour with set departures are facing extinction. Our world is becoming more personalized and travelers no longer want to feel like they are looking from the outside in. They want a tour based on their travel motivations and life goals; a more intimate experience that grows out of their values. The travel industry needs to keep up with the changing expectations and desires for the 21st century tourist. Custom itineraries handcrafted to the guest is one of the main changes happening in the travel world. Jordan is a perfect destination for customizing a tour. Travelers can gauge how much of their time they want to spend at sites, exploring off the beaten path locales, connecting with locals, and relaxing at the Red or Dead Seas. They don’t need to be beholden to the classic itinerary that has been circling the same route since the 80s. What are the people of Jordan like? 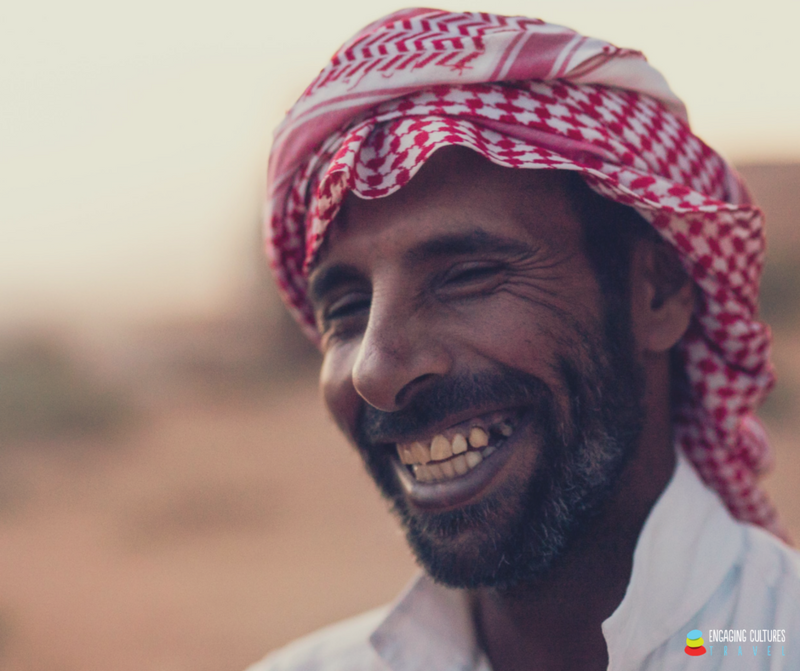 You’ll find a wide array of people who call Jordan home. From Circassians and Chechens, to Bedouins and other Arabs who have been here for generations, the people of Jordan continue to be it’s greatest treasure. Their reputation of warmth and generosity toward guests and travelers is well deserved. There is a chasm of misunderstanding between many peoples and cultures. The more our information becomes siloed, the more we believe our one way of looking at the world is the right way. Taking a trip abroad can actually bridge the gap between peoples who see the world in very different ways. A recent study has shown that traveling actually increases trust and open-mindedness between people. Whether it’s hitching hiking across the country, or simply asking a local for directions or a restaurant recommendation, 3 out of 4 people surveyed agreed that traveling has given them a more positive view of people, cultures, differences, and diversity. Because of this, most people believe that there would be more tolerance, acceptance, and peace in the world if people traveled more. Ready to begin planning your Jordan tour? If you’ve come this far, I’m assuming that you have decided to take a Jordan tour. You’ve made a good decision. It is one of the most remarkable, surprising places I have been. If you are still at the beginning of your planning stage, we welcome you to contact us for any questions you may have. If you are ready to take the next step and begin customizing your Jordan tour, just click the blue button below and let’s begin. Are you among the travelers who want a customized tour of Jordan? Fill out our custom tour form to let us know what your tour style and interests are. We'll be happy to craft a custom itinerary and quote for you, no strings attached! You nailed it on the head that most people do not know enough about Jordan to WANT to go there! I am so glad that my mind was changed! Hi Lindsay, Thank you for stopping by. Yes! There’s something special about Jordan. 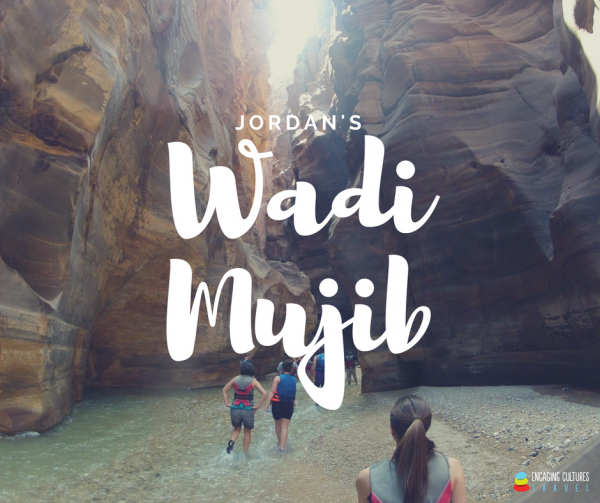 We hear over and over from our seasoned, deep world travelers how special Jordan is and how quickly Jordan moves to the top of their travel experiences. All the best! I’m planning to visit Jordan in May with my friends. And I heard that over 4 ppl, some attraction in Jordan will require tour guide for the group to get into the attractions. May I know if this is true? Hi Gin! Thanks for stopping by. With a small group you can visit the sites without needing to hire a tour guide, though I would recommend hiring a quality guide for Petra as they can make the site really come alive as well as connect you with the local people from the area. Let us know if you have any other questions!